Lomiko Metals Inc. (TSXV:LMR, OTCQB:LMRMF, FSE:DH8B) is a Canada-based, exploration-stage company, focused on the exploration and development of minerals such as lithium and graphite. Lomiko also has a 100 percent interest in Lomiko Technologies Inc., an investor in technology and manufacturer of electronic products. The Company is engaged in the acquisition, exploration and development of resource properties that contain minerals for the new green economy. Its mineral properties include the La Loutre, Lac Des Iles, Quatre Milles Graphite properties and the Vines Lake property which all have had major mineral discoveries. Aside from its mining assets, Lomiko has strategic partnerships with technology companies to research and develop high value end uses for graphite. Its wholly owned subsidiary Lomiko Technologies Inc. is a 40 percent of Graphene Energy Storage Devices Corp. (Graphene ESD), a 25 percent holder of SHD Smart Home Devices www.shddevices.com which produces three electronic products and a 25 percent holder of Promethieus Technologies. Graphene ESD has a research agreement with the Research Foundation of Stony Brook University (SBU), New York, to develop new supercapacitor designs for energy storage. Supercapacitors are promising energy storage devices. Due to their fast charge-discharge characteristics, low equivalent series resistance, long life cycle, wide operating temperatures, supercapacitors are being used in transportation, industrial and grid energy storage. Smart Home Devices Ltd., is planning to develop and manufacture, distribute and sell USB Spider Chargers and related devices. Smart Home Devices aims to penetrate the smart home market for Internet of Things and seek out revenue streams. 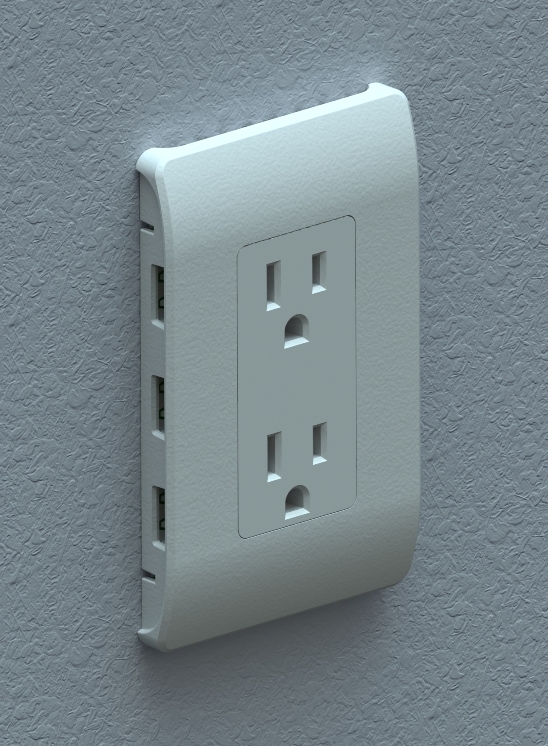 It sees offices, hotels, and coffee shops as potential markets for USB charging devices. A mining exploration and technology play offering a window on the exciting potential of graphene, a new “wonder material” that boasts a vast array of ground breaking properties, including extraordinary strength, conductivity and transparency. Global Demand for flake graphite will outstrip Supply 2018, largely due to graphite being a critical component of lithium-ion batteries and cannot be economically substituted. Lomiko aims to capitalize on growing demand for electric vehicles, a key driver of investor interest in lithium and graphite, two of the major components of a lithium-ion battery. Lomiko’s key properties are located in established mining jurisdictions in Quebec and British Columbia. New Developments in Graphene Energy Storage and the Internet of Things. The proximity of Lomiko’s La Loutre property to Imerys Graphite & Carbon’s graphite mine near Lac de Iles, Que., means the Swiss company might see La Loutre as a potential target now that it is running out of open-pittable graphite. Lomiko is a 25 percent investee in Promethieus Technologies, a cutting-edge cryptocurrency mining company, that has introduced the Golden Goose for Cryptocurrency Farm Mining operations. The La Loutre Property consists of one large block of 42 mineral claims covering 2.5 million hectares. It is located approximately 53 kilometers east of Imerys Graphite & Carbon’s graphite mine near Lac de Iles in southern Quebec. The Imerys mine is North America’s only operating graphite mine. Lomiko recently announced the signing of an option agreement with Canada Strategic Metals Inc. (TSX-V:CJC) on the La Loutre property and Lac des Iles property allowing Lomiko to acquire up to a 100 percent interest in the property. On February 9th, 2016, Lomiko Metals and Canada Strategic announced resource for the La Loutre Flake Graphite Property of 18.4 M Tonnes of 3.19 percent Indicated and 16.7 M Tonnes at 3.75 percent Flake Graphite Inferred with a cut-off of 1.5 percent. The sensitivity table also features 4.1 M Tonnes of 6.5 percent Indicated and 6.2 M Tonnes at 6.1 percent Flake Graphite Inferred with a cut-off of 3 percent. The results are all focused on the Graphene-Battery Zone. The new area of mineralization appears to be 200 metres wide, have a current strike length of over 400 metres in a north-west to south east direction and is open in both directions. A map of drill holes at the Refractory Zone which includes 2015 and 2016 results and highlights included 7.74 percent graphite over 135.60 metres including 16.81 percent graphite over 44.10 metres from hole LL-16-01, two different intersection in hole LL-16-02 reporting 17.08 percent graphite over 22.30 metres and 14.80 percent graphite over 15.10 metres and 110.80 metres of 14.56 percent Graphite in Hole LL-16-03. The Quatre Milles Property is road accessible and is located around 175 kilometers northwest of Montreal, about 17 kilometers north of the village of Sainte-Veronique, Que. The East Claim Block covers 1,641 hectares, and the West covers 2,183 hectares. All are 100 percent owned by Lomiko. A survey carried out in 2014 was designed to identify graphite mineralized occurrences. Surface samples collected from the Quatre Milles East property returned results of 14.16 percent graphitic carbon (Cgf), 18.06 percent Cgf and 20.35 Cgf. The property consists of 104 mineral claims covering 56 square kilometers and borders the western limit of the Imerys Lac Des Iles graphite mine and processing facility. The property is close to the town of Mont-Laurier, 150 kilometers north of Montreal. In June 2015 Lomiko said it was planning a phase one exploration program comprised of prospecting, mapping and sampling with a focus on determining the strike length of graphitic mineralization during a 2012 prospecting program conducted by Canada Strategic Metals and magnetic- electromagnetic survey. Lomiko holds the rights to the 5,403-hectare Vines Lake Project in the southwestern corner of the Cassiar Gold District of British Columbia. Past production in the district includes approximately 316,000 ounces of gold at the adjacent Table Mountain Mine between 1979-2007 under various companies. A 87-gold-ounce nugget was also reportedly found at McDame Creek near the Vines Lake property. Graphene Energy Storage Devices Corp.
Lomiko is a founding shareholder of Graphene ESD and controls 40 percent of the R&D company through its subsidiary Lomiko Technolgies. In February 2016 Graphene ESD signed a research agreement with the Research Foundation of Stony Brook University (SBU) to partner with SBU Center for Advanced Sensor Technologies to develop new supercapacitor designs for energy storage. The target applications for this technology include grid-tied inverters, grid stabilization systems and automotive and locomotive drive trains. Previously, Lomiko Technologies was the exclusive licensee of three devices designed by MegaHertz Power Systems Ltd. under a deal announced in October 2014. However, MegaHertz Power Systems has amalgamated a number of new concept designs, technology licenses, patent applications, and intellectual property into Smart Home Systems in order to penetrate the smart home market for Internet of Things (IOT) and seek out revenue. Lomiko has agreed to contribute the trademark and jointly develop Spider Charger and become a shareholder (23 percent) of Smart Home. In September 2017 Lomiko Metals announced it has received a Canadian Trademark application for the Spider Charger. Smart Home Devices plans to enter into negotiations to sell the Spider Charger and other related devices in North American markets with IOT distributors and builders. Lomiko Metals Inc. announced the launch of Promethieus Technologies, a cutting-edge cryptocurrency mining company in partnership with 25 percent owned subsidiary SHD Smart Home Devices Corporation. Lomiko will control 25 percent of the Company, SHD Smart Home Devices another 25 percent and various partners including engineers, commercial real estate partners and initial investors will control the remaining portion. The Company has been testing rig designs for optimization of cryptocurrency mining for one month before ramping up to 32 mining rigs and then, through an anticipated $5 million financing, expanding to 750 rigs to take advantage of currently available space. Due to the fluctuations in the cryptocurrency market, the company will appropriately shift its focus between different coins, including Ethereum, Ripple, Monero, Litecoin, Dash and Z-Cash. Cryptocurrency mining is a process of cryptographic calculations done by several computers called Mining Rigs. The transactions are decentralised and secure, verified by entities on blockchain network. In this process, the first to verify a transaction is awarded with a fraction of the cryptocurrency being mined. Promethieus has introduced the Golden Goose for Cryptocurrency Farm Mining operations. The Golden Goose Industrial Rig for Farms was developed by the engineering team at SHD Smart Home Devices to address concerns regarding heat and power management to make the device suitable for mining farm use. A fully functional power limited Golden Goose demonstration model debuted on February 2 and 3, 2018 and was actively mining Ethereum during the World Outlook Conference held in Vancouver. Configuration is underway of a lower power home and/or office cryptocurrency mining rig called the Golden Goose II, for individual consumers seeking to participate in cryptocurrency mining. Paul Gill is the President of AJS Management Inc., a company providing managing consulting to private and public companies. From November 2003 to October 2006, Gill was heavily involved in the dynamic growth stage of Norsemont Mining (TSX: NOM) as an officer and director and vice=president Business Development while the company grew from a market capitalization of $1 million to $50 million with a final buyout of $512 million. Gill is also the Director of Graphene 3D Lab (TSXV: GGG), CEO of Lomiko Technologies and an advisor to Altair Resources (TSXV:AVX). Jacqueline Michael has over 20 years if financial and administrative experience. In 1988, Michael co-founded the Conac Group, a software development company for construction management, where she acted as President and CEO. In 1997, she was successful in taking the company public on the CDNX Exchange and helped raise over $5 million in private placement financings for the company. Michael has acted in the role of President and Chief Executive Officer for public companies for over 10 years. A businessman and financial advisor with PFSL, Julius Galik has been involved in start-up situations within the mining exploration industry in Western Canada since 2002, and during the past 8 years has been instrumental in the development and financing of various small capitalized companies both private and public. Between 2006-2007 Galik served as director of Dorex Minerals Inc. (TSX-V: DOX), and in September 2009 was elected Dorex President and CEO. David Luck has served eleven years as a director, Chief Financial Officer and Operations Manager for Northern Canadian Supplies Ltd., an industrial supply and facilities service company, in the oil and gas industry. Mr. Luck has also been a senior site administrator in the public sector during the past twenty years. With a background in public education, business development and marketing management, David is enthusiastic about representing shareholders and providing objective information to assist shareholders and potential investors. *Disclaimer: The profile provides information which was sourced and approved by Lomiko Metals in order to help investors learn more about the company. Lomiko Metals is a client of the Investing News Network (INN). The company’s campaign fees pay for INN to create and update this profile page, to which links are placed on Investingnews.com and channel newsletters. By completing this form, you are giving consent to receive communication from Lomiko Metals Inc using the contact information you provide. And remember you can unsubscribe at any time.